If you're looking for jiu jitsu in New York, we are your number one resource! Find out about all the coolest jiu jitsu classes in all parts of the state, and learn martial arts from some of the most topnotch professionals in the field! Learn Brazilian or American Jiu Jitsu, or Other Martial Arts! Whether you're looking to learn Brazilian Jiu Jitsu, American Jiu Jitsu, Muay Thai, Pekiti Tirsia Kali, or mixed martial arts; New York Jiu Jitsu has it all! The NY jiu jitsu classes are perfect for those looking to gain confidence in defending themselves or to train with like-minded athletes in preparation for the MMA circuit. Throughout your training you will gain increased flexibility and strength, as well as improve fitness and relieve stress. New York Jiu Jitsu offers beginner and advanced classes for men, women, and children. Hours are 10 A.M. to 8:30 P.M. on weekdays, 10 A.M. to 3 P.M. on Saturdays, and 3-5 P.M. on Sundays. 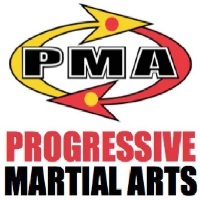 Progressive Martial Arts was established in the year 1995. Since their establishment, Progressive Martial Arts in NY has become the premiere training center for a lot of martial arts systems which includes Mixed Martial Arts, Filipino Martial Arts, Jeet Kune Do Concepts and Brazilian Jiu Jitsu. This martial arts academy in NY is offering a unique program in order to give students a great selection of martial arts systems for them to explore. Whatever your goals may be in taking up a class in martial arts, Progressive Martial Arts NY will help you achieve them! Brooklyn Brazilian Jiu-Jitsu is a place where you will be able to learn about Brazilian Jiu Jitsu and eventually master it. 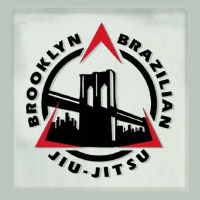 If you are a beginner Brooklyn Brazilian Jiu-Jitsu in NY will help you learn the basics of ground and stand grappling. There are also techniques that have been tested and refined through the years of study. The goal of Brooklyn Brazilian Jiu-Jitsu is to provide you with a firm foundation and understanding of Brazilian Jiu Jitsu. While you are beginning in the Basic program of Brooklyn Brazilian Jiu-Jitsu, you will be able to condition your mind and body for a safer, stronger, fitter lifestyle. 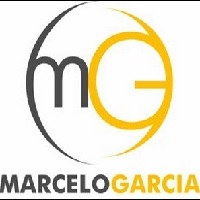 The Marcelo Garcia Jiu Jitsu Academy is owned by Marcelo Garcia who is an internationally renowned teacher and is also a competitor of Submission Grappling Jiu Jitsu. He has been the foremost expert teacher of Brazilian Jiu Jitsu in NY! He has an innovative and battle tested repertoire. He has careful attention to the details and loves Jiu Jitsu a lot. He is a humorous and a friendly person. He is known to be one of the most sought after instructors in the world. If you want to be as successful as Marcelo Garcia in the field of Jiu Jitsu, you should enroll now at The Marcelo Garcia Jiu Jitsu Academy in NY where you will be able to learn not just the basics but also the intricate techniques. 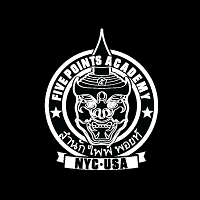 The Five Points Academy is a 2.5 year establishment which is a martial arts center in NY. If you have been looking for a place to learn martial arts, this place will absolutely change your life. Not only will you be in the best shape possible, you will also gain the confidence level you didn't know you could attain. The instructors at the place are all knowledgeable and experienced as well. The Five Points Academy is a well-equipped and quite spacious facility. There are a number and variety of classes they are offering like Muay Thai, Jiu Jitsu, Kali, and Kettle Bells. 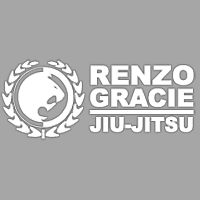 Renzo Gracie is an academy in New York which offers different martial arts classes. Their classes include Brazilian Jiu Jitsu, Kid-Jitsu, Muay Thai, Kids Muay thai, Capoeira, Grappling and Mixed Martial Arts. Renzo Gracie has different masters who are all experts in their fields. They will be the ones conducting the classes themselves. If you haven’t heard of any of the classes they are offering, you can inquire at their free intro class which can help you better understand what the benefits of the classes are. The intro class is a onetime 30 minute class that will outline and discuss the basics of the Brazilian Jiu Jitsu theory. The intro is free for everyone so grab the opportunity and learn more about Martial Arts. Clockwork Jiu Jitsu is a place where you can learn the Martial Art of Jiu Jitsu. The trainers at Clockwork Jiu Jitsu in NY are committed to make sure that you will be able to reach your level of expertise. The trainers at the place have over 12 years of experience in their fields so you can be complacent that you will be able to learn. 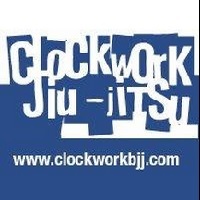 Clockwork Jiu Jitsu has a great facility for you to practice and learn at. They have created an environment which is conducive to learning. Alliance Jiu Jitsu is a New York based Jiu Jitsu training center! 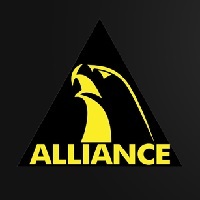 It is the home of the 2008 and 2009 World Brazilian Champions, the Team Alliance. As of the moment this Jiu Jitsu training center in New York has been recognized as the gold standard in Gracie Jiu Jitsu training. Alliance Jiu Jitsu in NY is the place to be if you want to know specific and hands on training. Alliance Jiu Jitsu aims to be the best school of Jiu Jitsu which is why they are providing quality and excellent instructors for everyone to learn about this kind of martial arts. 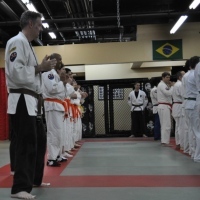 Gotham Jiu Jitsu is offering classes in Brazilian Jiu Jitsu as well as traditional Jiu Jitsu. There are sessions for men and women to cater everyone who is interested in learning things about the most popular martial arts on the planet, Jiu Jitsu. The sessions of each class of Gotham Jiu Jitsu in NY will be taught in the privacy of your own fitness facility or you can just come to Chelsea/Flatiron at the Rich Barretta Studios. Gotham Jiu Jitsu accepts students at their facility at any level. You can also avail of the private classes with them if you want to learn at your own pace and have privacy. 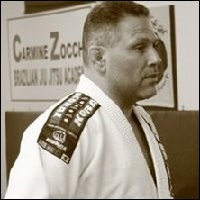 Carmine Zocchi Brazilian Jiu-Jitsu Academy is owned and run by Carmine Zocchi. Carmine Zocchi is a native of New York who is a professional fighter and instructor. He has spent over 20 years studying and refining the fighting techniques and strategies of Jiu Jitsu. He also has competed in a lot of Jiu Jitsu matches, grappling matches, MMA fights and shoot fighting. 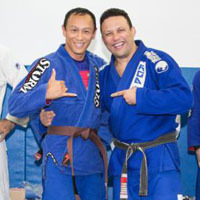 These are the reasons why he has become one of the best instructors of Jiu Jitsu. If you want to become a professional fighter of Jiu Jitsu like Carmine Zochhi, you should enroll now at the Carmine Zocchi Brazilian Jiu-Jitsu Academy! 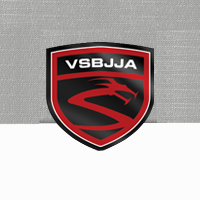 The people at Modern Martial Arts Vitor Shaolin Brazilian Jiu Jitsu believe that Jiu Jitsu is not a team sport. The only person you are basically competing with is yourself. At Modern Martial Arts Vitor Shaolin Brazilian Jiu Jitsu in NY you will be treated as an equal and be trained to be the best you can ever be with your own potential and ability. The guides at Modern Martial Arts Vitor Shaolin Brazilian Jiu Jitsu will guide and motivate you through the techniques in a straightforward and fun manner so that you will effectively learn this martial arts system.